2013 Jim Beam Surftag Australian Championships run @ D'Bah April 5th - 7th. 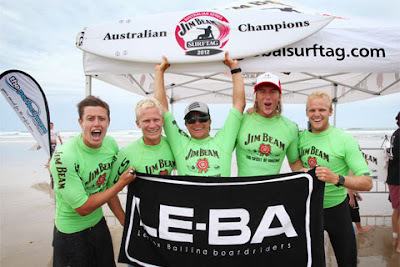 LeBa are the defending Australian Champions, James Wood is the defending Jim Beam Boardriders Cup Champion and Emery Surfboards are the defending Manufacturers Cup Champions after last year's amazing efforts in front of the Pub. 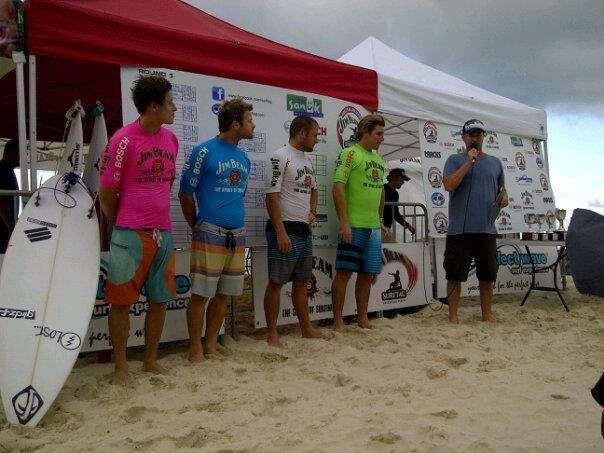 Woody will surf in the Boardriders Cup on Friday Ht 1 @ 8am and the team will start in Ht 2 @ 9amSaturday. Get up there if you can and support the team - Stu Kennedy, James Wood, Jock Barnes, Jon Hewitt and Marcus Aboody. Smash it fellas . Go Le-Ba !!! A great start to the 3 day National Finals with James Wood finishing 3rd in the Final of the Boardriders Cup. 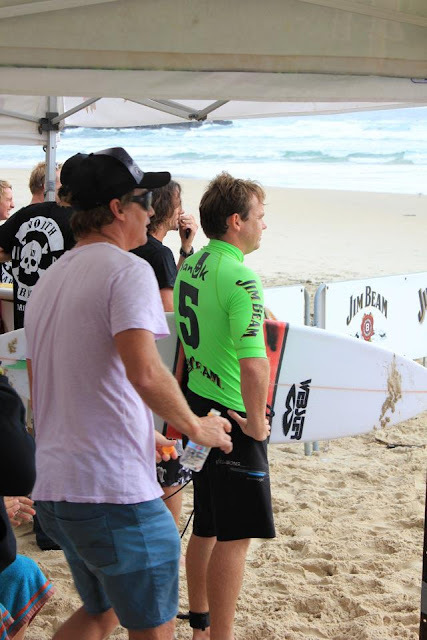 Woody had to surf a gruelling 5 heats today in the tricky 2' - 3' D'Bah peaks. Good on ya mate and good luck for the rest of the weekend. 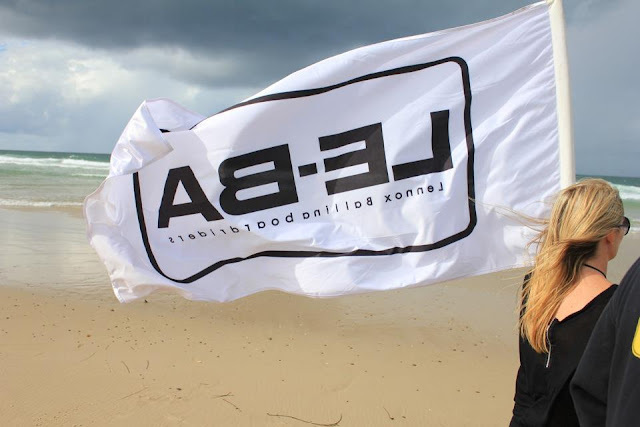 Go Le-Ba !!! 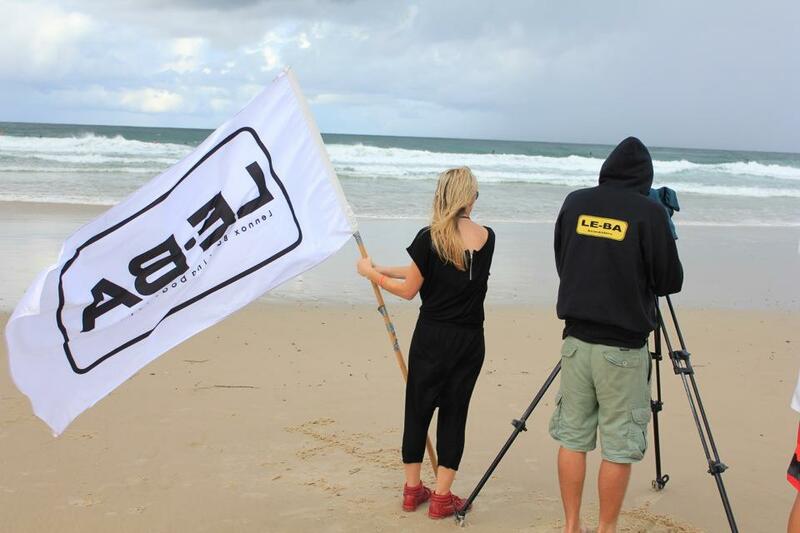 A big win for the team in round 1 today in punchy 3' -4' peaks at D'Bah. Le-Ba posted a 81.67 total with the other 3 teams languishing in the 60 + range. If you want to go up and support the team there is a bus leaving from the Lennox Bus Shelter @ 6 am. Get up there and make some noise. After a massive day of day of team surfing in 2'-3' D'Bah peaks Le-Ba has finished 3rd at the National Finals and adding $4k into the club account. Once again showing we are one of the strongest clubs in Australia. Congratulations to the team and all the supporters that went up for the event.